Had a busy weekend pounding away on the patio. Saturday was all about testing grade levels, brainstorming drainage issues and testing a layout for the flat section of the patio. Making a flat section requires a step somewhere in the grade (since the whole back yard slopes down towards the alley). We also created a few “test steps” while coming up with a plan. 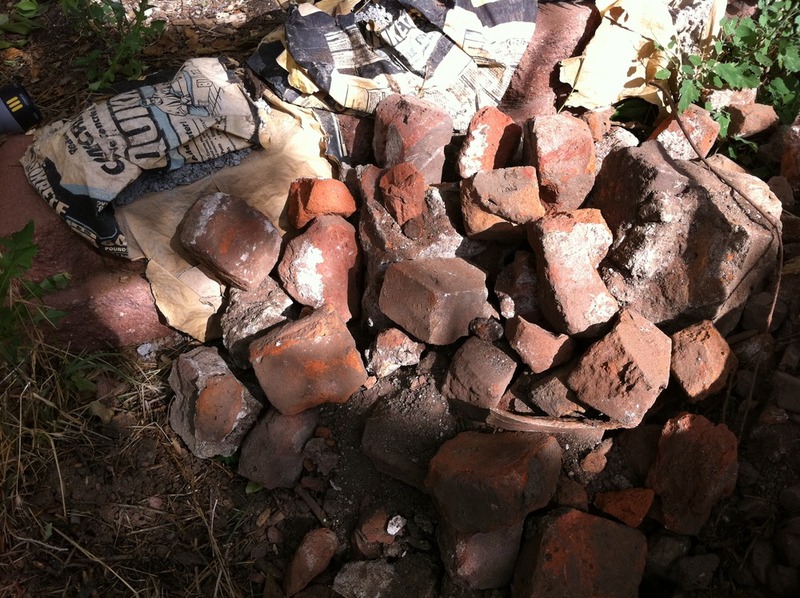 While doing all this, we found a few gems lurking below the surface of the road to nowhere. 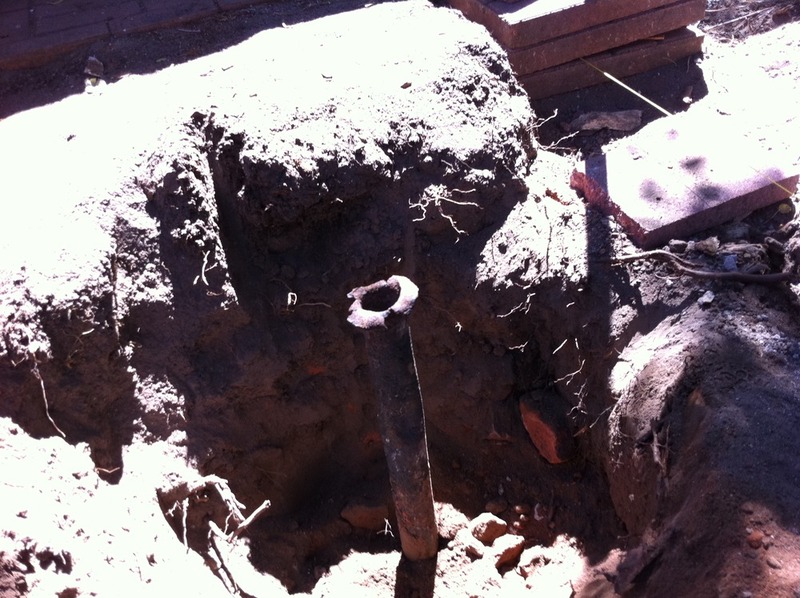 First of all, there was a 4 foot long iron pipe, surrounded by a 3.5 foot brick column, and capped with concrete. We needed an excuse to buy a sledgehammer anyways. Also another nice one, we finally found the previous owners awesome electrical job of running power about 8 inches underground with no conduit, well done El Dueño Anterior ! 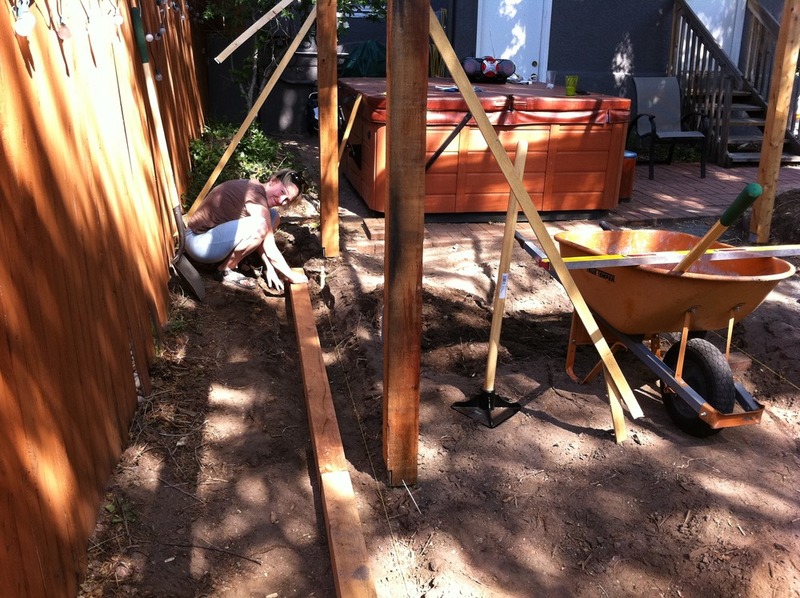 Sunday was spent running another level line along the fence-side beams and finalizing the layout for the retaining wall for the fencline bed. We removed the iron post / brick / concrete blob, then ran a level line from the garage to the easternmost post along the fence. 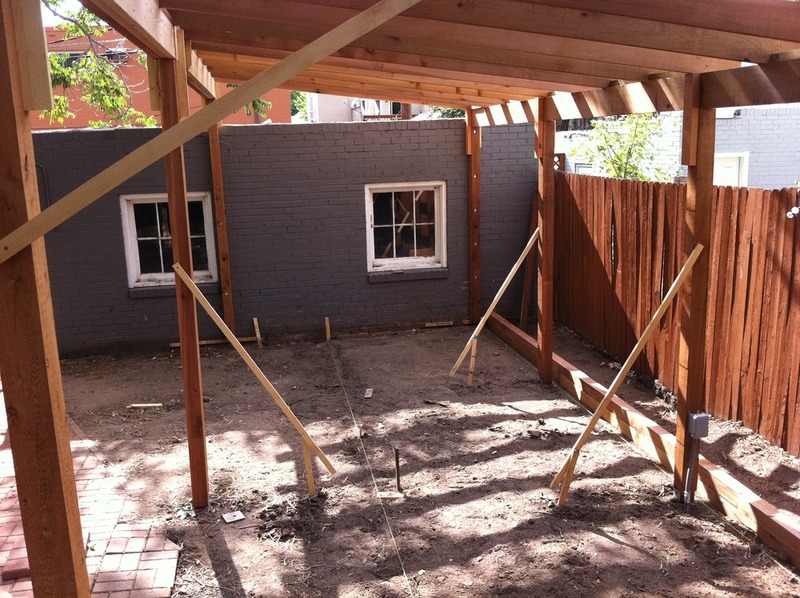 Once we had a perfectly level trench, we laid down 2 layers of cedar 4×4, drilled holes and pounded in 1/2″ rebar through the cedar, as well as added 4′ rebar on the inside edge to keep the wall upright when we excavate the bed. Frank finished putting up all rafters and permanently affixed them on the high header beam. Tomorrow he will finalize the attachments to the low header as well as run the perpendicular 1″X1″ perlons which whill support the polycarb. So, are you sure that Herb Wulliman didn’t do some drilling for oil in Denver back in the day?? That’s the way he would cap a well, Bud says. 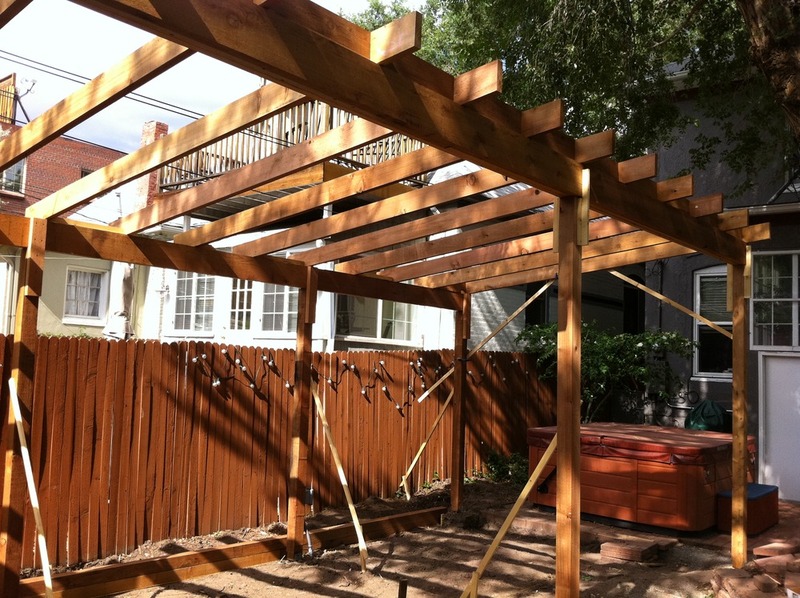 WOW, your deck and pergola looks gorgeous! What a lot of work you guys are doing. Awesome. And, thanks for sharing your progress and pictures.BTW, we still need a bill for that computer we still have. 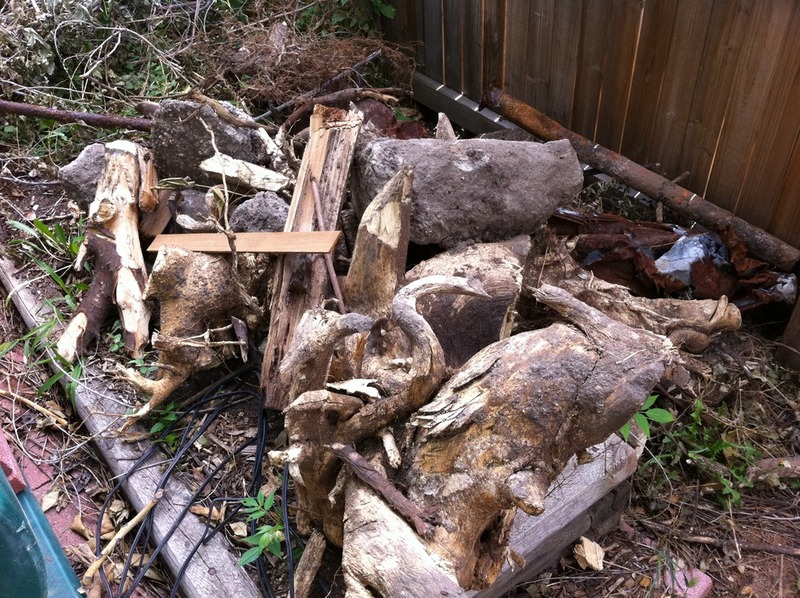 Or, I can still send it back to you.We are doing some landscaping work, too. Maybe I will use posterous like you are to document some ‘activities.’Love to you both!